The International Pricing Index model would reset Medicare payments for physician-administered drugs. 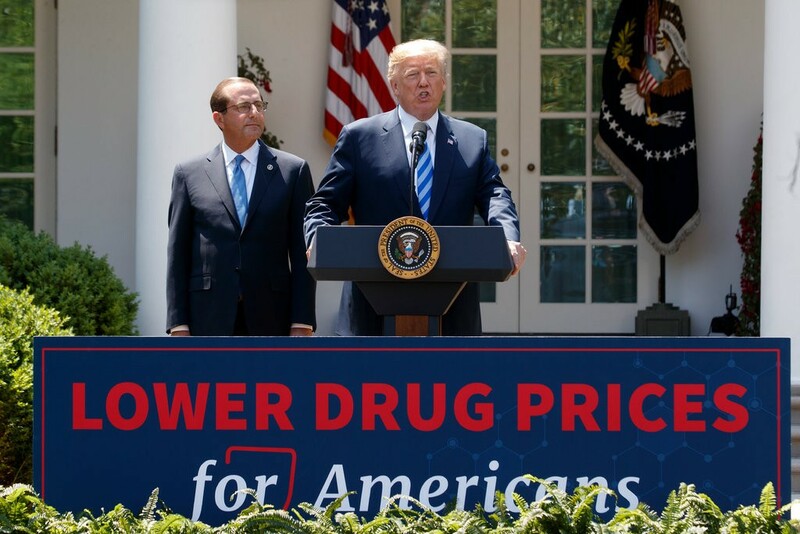 President Trump on Thursday proposed to reduce prescription drug costs in a move projected to save taxpayers and patients $17.2 billion over five years. America’s Health Insurance Plans commends the proposed payment model, while the American Medical Association voiced more caution. Under the proposed International Pricing Index model, Medicare’s payments for select physician-administered drugs would shift to a level more closely aligned with prices in other countries. The move from current payment levels to payment levels based on international prices would be phased in over a five-year period, would apply to 50 percent of the country, and would cover most drugs in Medicare Part B, which includes physician-administered medicines such as infusions, according to the Department of Health and Human Services. HHS said it is considering a randomized approach to determine which geographies in the country would participate. The Centers for Medicare and Medicaid Services is taking comments prior to issuing a proposed rule in the spring of 2019, with a potential start in spring 2020. HHS contends the model would correct existing incentives to prescribe higher-priced drugs and, for the first time, address disparities in prices between the United States and other countries. Since patient cost sharing is calculated based on Medicare’s payment amount, patients would see lower costs under the model, HHS said. Physicians currently purchase the drugs they administer and receive payment from Medicare at an amount equal to the average sales price plus an add-on fee. The add-on is calculated as a percentage of the average sales price of the drug. This creates several problems, HHS said. First, the dollar amount of the add-on increases with the price of the drug, which encourages prescribing higher-cost drugs. Secondly, Medicare accepts sales prices for Part B drugs, with no negotiation. Together, this results in higher out-of-pocket costs, HHS said. The international pricing index model would create a system in which private vendors procure drugs, distribute them to physicians and hospitals, and take the responsibility of billing Medicare. Competition would be created because vendors would aggregate purchasing, seek volume-based discounts, and vie for providers’ business. Under the model, instead of the current percentage-based add-on payment, physicians and hospitals would receive a set payment amount for storing and handling drugs that would not be tied to drug prices. Therefore, the IPI model would remove the financial incentive to prescribe higher-cost drugs, according to HHS. The model also frees physicians from having to “buy and bill” high priced drugs. The proposal came about after CMS sought input on a new international pricing index payment model to reduce what Americans pay for prescription drugs. “…The time has come to fix the perverse incentives in the Medicare program that are fueling price increases,” said CMS Administrator Seema Verma. The pharmaceutical industry offers deep discounts abroad while taking advantage of the payment system in Medicare Part B which drives the cost in the U.S., even though Medicare is the world’s largest drug purchaser. The IPI model would take on this issue and pay vendors for Part B drugs at a level approaching international prices. Beyond the cost reduction benefit, the IPI model would increase adherence and access to prescription drugs, introduce competition to the system, reduce providers’ burden and the financial risk associated with managing drug inventories, maintain financial stability for physicians while removing incentives for higher drug prices, and address the disparity in drug prices between the U.S. and other countries.